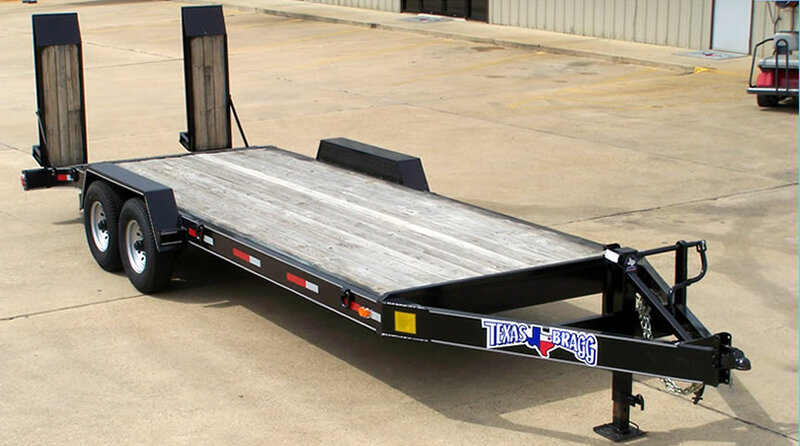 The Texas Bragg BOSS utility trailer is the heavy-duty version of their Car Haulers. It comes standard with 6,000#, or 7,000# axles, 8" Channel Frame and Tongue, 83″ wide deck, 12k Drop Leg Jack, Treated Floor, 72" Fold Up Ramps with Wood, and a 2 5/16″ coupler. This trailer is built to be pulled with bigger trucks with the heavier duty suspension.